OECD, IOM and UNDESA (represented by UNSD and UNPD) propose to co-organise a regular International Forum on Migration Statistics. The first Forum will be hosted at OECD's conference centre in Paris. The location of the Forum will rotate between the three co-organising agencies. The Forum will also involve partner organisations that will contribute to relevant sessions. This event will enhance the exchange of information, promote mutual learning and facilitate cooperation among relevant stakeholders. It will bring together producers, analysts and users of migration statistics, and will create a community of interest focused on migration measurement issues. It will mobilise expertise from a wide range of disciplines - such as political science, economics, demography, development studies, migration studies, geospatial science, sociology, statistics, and information technology - that can contribute to an improved global understanding of international migration in all its dimensions. 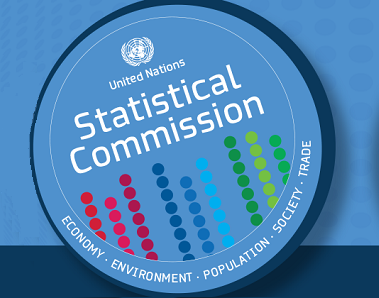 The Interagency Task Force on Statistics of International Trade in Services (TFSITS) was established at the request of the General Agreement on Tariffs and Trade (GATT) and UNCTAD to the Statistical Commission in 1994. The Task Force is convened by the Organisation for Economic Cooperation and Development (OECD), and consists of Eurostat, International Monetary Fund (IMF), the United Nations Conference on Trade and Development (UNCTAD), the United Nations Statistics Division (UNSD), the World Tourism Organization (UNWTO) and the World Trade Organization (WTO). At its next meeting (19-20 November 2009) TFSITS is focusing on the finalization of the text of the revised Manual on Statistics of International Trade in Services 2010 (MSITS 2010) and to draft a report to be submitted for the approval of the UN Statistical Commission (SC) in 2010. TFSITS is to discuss the following topics: the implementation process of the revised manual, including preparing a compilation guidance; the quality of SITS data and comparability of databases at different international organizations; the promotion of MSITS 2010.